From left: Waltham Brothers Marketplace Manager Wander Rezende; Rick Roche; Waltham Mayor Jeanette McCarthy; and Ed Roche. A third Roche Bros. Brothers Marketplace opened in downtown Waltham, Massachusetts, on May 1. The 8,500-s.f. market emphasizes local producers and vendors that have been handpicked by store associates, including Iggy’s Breads from Cambridge, Drink Maple from Concord and Natick Community Organic Farm. The new store is located at The Merc at Moody & Main, a 269-unit mixed-use, transit-oriented development. Although small in size, the market offers eating areas; many perishable sections, including hot foods and meal kits; and grocery and specialty foods sections. Customers can indulge in scratch-baked pastries, locally roasted coffee from Armeno Coffee in Northborough, tea from Tea Guys in Whately and espresso drinks from the store’s bakery and coffee bar, which will feature indoor seating overlooking Waltham Common. In season, customers will also be able enjoy outdoor seating tucked off the street. 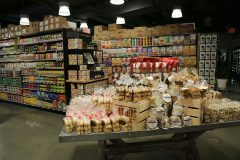 Brothers Marketplace, which has existing locations in Medfield and Weston, is reminiscent of small neighborhood markets from long ago. Shoppers will find unique offerings in prepared foods made in-store, baked goods, seasonal and exotic produce, fresh local seafood, antibiotic and hormone free meats, local and international cheeses and packaged foods from local producers. Roche Bros. Supermarkets was founded by brothers Pat and Bud Roche in 1952. 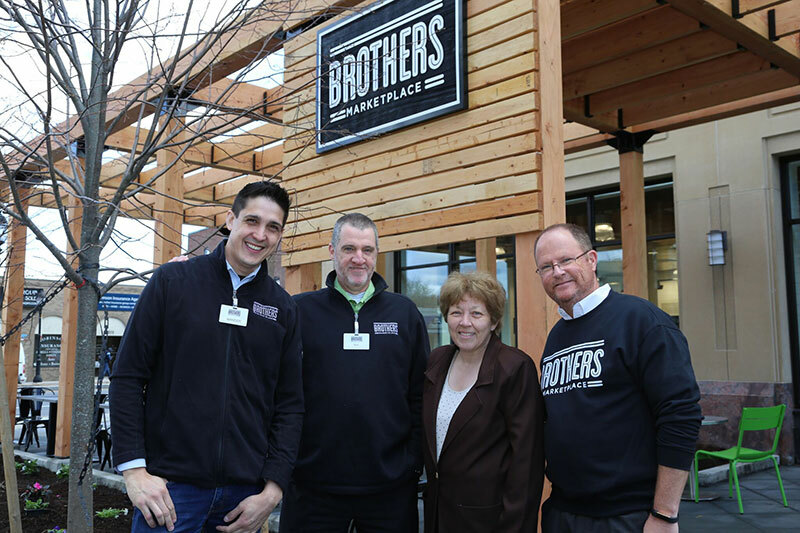 Brothers Marketplace is a next-generation offering, brought to the local communities by Pat’s sons and current owners, Rick and Ed Roche. Another Brothers Marketplace is expected to open this year in Kendall Square, Cambridge. Roche Bros. is a family business employing more than 4,800 associates in its 20 Roche Bros., Sudbury Farms and Brothers Marketplace stores.